ARUP offers molecular testing for multiple endocrine neoplasia (MEN) syndromes which are characterized by tumors involving multiple endocrine glands. Testing includes sequencing and deletion/duplication studies of the MEN1 gene, RET sequencing and specific RET mutation testing. Additionally, the ARUP Scientific Resource for Research and Education hosts the MEN1 and MEN2 (RET) databases, which serve to record all MEN1 and RET sequence changes relevant to the multiple endocrine neoplasis syndromes, as well as any associated clinical information and pertinent literature references. Dr. Mao is a professor of pathology at the University of Utah School of Medicine. She received her MD from Capital University of Medicine in Beijing, China and her MS in molecular pathology from Beijing Union Medical College. She is board certified by the American Board of Medical Genetics and Genomics, with a subspecialty in clinical molecular genetics, and certified with the New York State Department of Health, with a subspecialty in genetic testing. 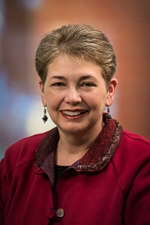 She is a member of several professional societies, including American College of Medical Genetics and Genomics, Association for Molecular Pathology, and American Society of Human Genetics. Currently she serves as the co-chair of the ClinGen Clinical Domain Metabolic Diseases Working Group. 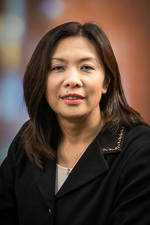 Her research interests include the genotype-phenotype correlations in inborn errors of metabolism and genetic diseases in the RAS/MAPK pathway; she is also involved with implementing next-generation sequencing techniques into molecular diagnostics.